Pompey and Hull City are battling it out to sign Nottingham Forest midfielder Ryan Yates on loan, according to the Daily Mirror. Yates, 20, has been included in just one match-day squad for the Championship club this season, appearing for 45 minutes in their EFL Cup clash against Bury back in August. It has been suggested the midfielder could now go out on loan in January. Reports back in July suggested Pompey had a bid for Yates rebuffed. The 20-year-old has already had loan stints at Scunthorpe United and Notts County in his early career and he could now be set for another brief spell away from the City Ground. 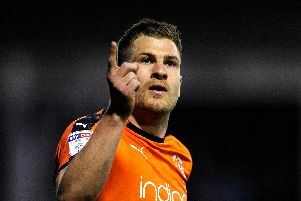 Forest's Championship rivals Hull are said to be interested as well, but Pompey will be hoping to land him as they look to push for League One promotion.